In the beginning of December, NYMEX crude oil had halted near a trend line from the previous swing highs. It had the potential to form a wedge pattern. But, the bears are not willing to give up as yet. The same is evident from momentum indicators as well since the same on various time frames are in a bullish mode, suggesting further upside potential. 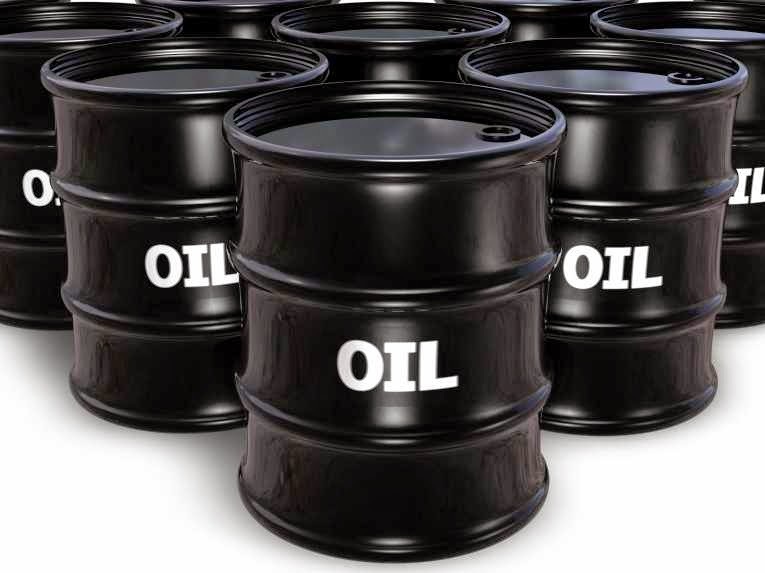 Consequently, crude oil is looking to surpass the hurdles lying ahead. 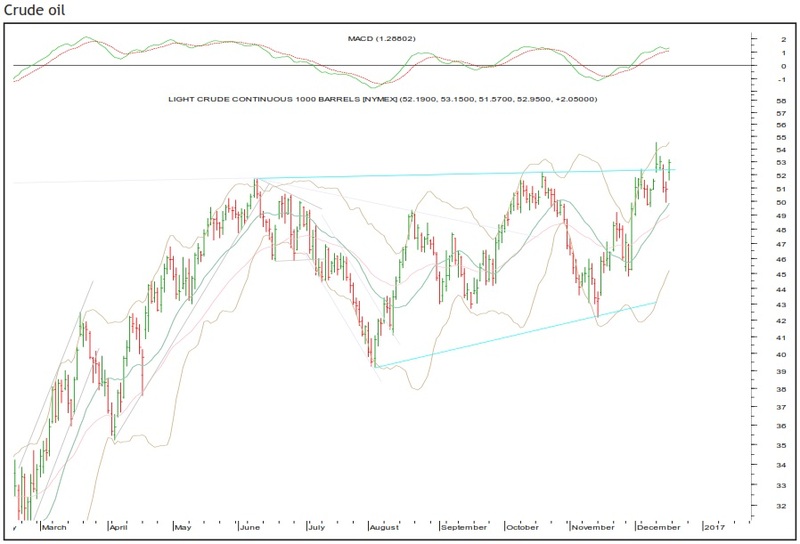 It is poised to head towards the junction of 40 MEMA and monthly upper Bollinger Band, ie $59.60. The swing low of $49.61 will act as a key support on a closing basis.